I don't know about you, but a new Essence collection always means a trip to Priceline and/or Target for me! And a visit to those places generally results in me spending some money - who else can relate? Released in Target recently, the Glow Like... Collection is just gorgeous. The emphasis was placed on getting that inside out glow (and everyone knows I adore a dewy finish! ), meaning that they brought out a range of goodies all designed to help you nail that glowy look from start to finish. I particularly love that they included products like the Glow... Dewy Highlighter Stick (RRP$6.15) to give you that strobed look in all the right places (and is travel friendly! 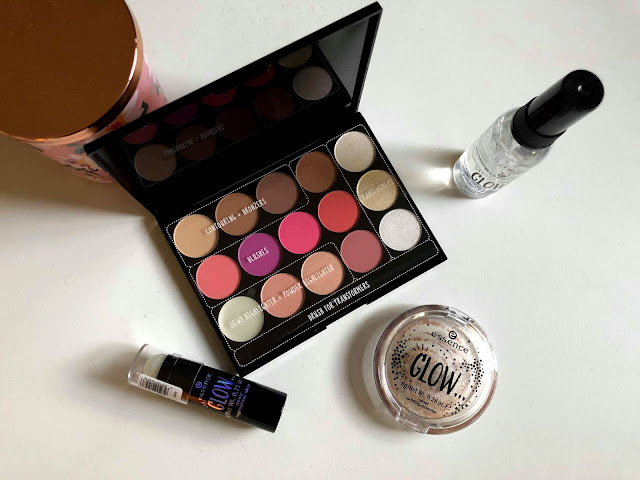 ), to the Glow... Glow Setting Powder (RRP$6.75), which is my favourite kind of finishing powder - great for that all day glow! I'm also keen to try that Glow... Dewy Finish Spray (RRP$6.15), because, hey, if you're looking to make sure that your makeup doesn't shift, then after powdering, you've gotta spray it to make that stuff stick! Hot on the heels of the Glow Like... Collection are the new Create and Transform My Wonder Palettes, and these can be found at Priceline. 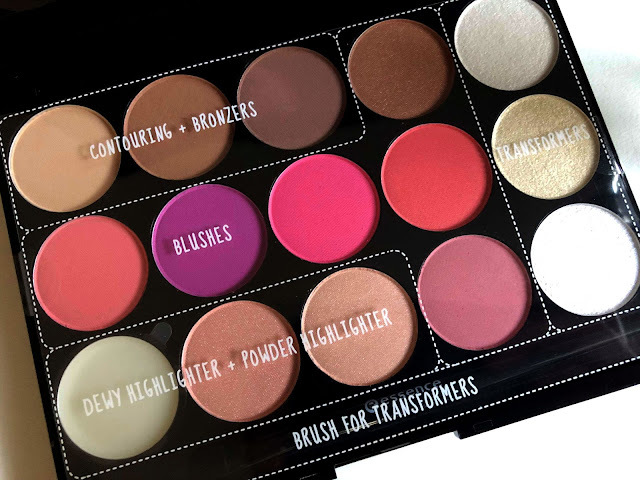 There are three different palettes, covering the lips, eyes and face. They retail at $17.95 each, and I love the variety of colours available. I got a peek at the lip palette, and they even have a blue in it - how cool is that? The eye palette has the inclusion of two brow shades, which is fantastic, considering that it's part of the eye, really, but not generally included in eyeshadow kits. It also has prismatic shades to help create depth and sparkle - I love that they thought of the possibilities and how to create them with this one. The real MVP of the collection for me, though, is the collection that I got, and that's the My Wonder Face palette - it offers a range of shades for contouring, strobing and draping. I love that this also comes with transformers to add dimension for extra shine. I've been itching to break into the palette ever since I got it in the mail, because it's so gorgeous! These go for $17.95 each, and I can't wait to get the look from this palette up on Instagram when it's done! What's your favourite thing from these collections? Do you check out the new collections each time?